Can This Art Show Possibly Capture The Full Glory Of Nicolas Cage? We admire the ambition of doing an art show dedicated to Nic Cage, the man whose brilliant/terrible acting nearly drove Abed insane. But can a single gallery show really capture the many facets of this movie legend? See some glimpses for yourself. San Francisco has been seeing fliers everywhere for a Nic Cage art show, and now the details are revealed — the opening is Saturday April 12, and it features music and a full bar (because you would need a bar, really) and performers including The Klown and For The Ladies. 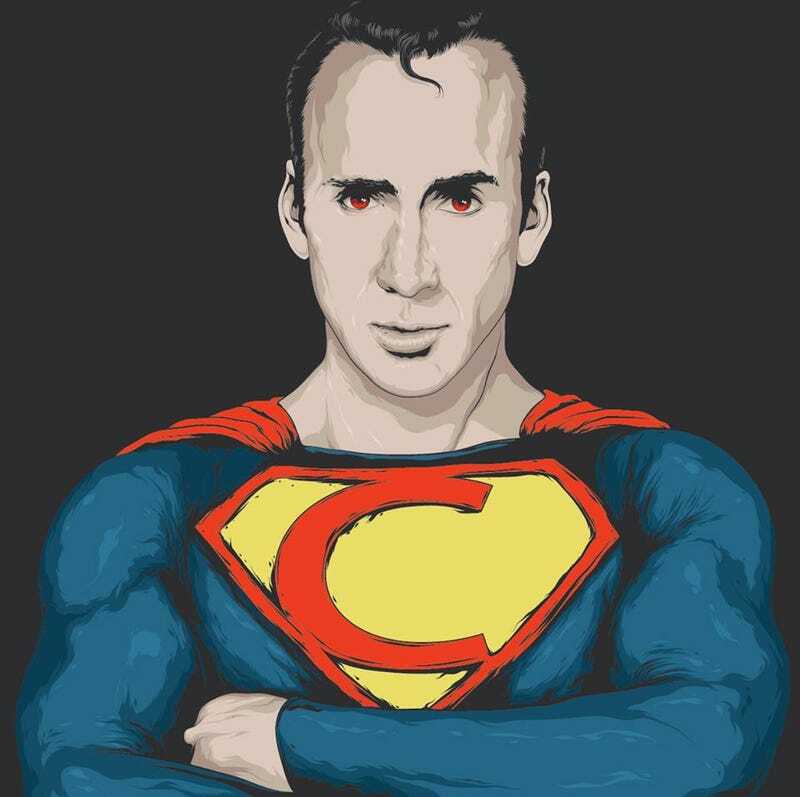 Check out some exclusive sneak peeks of the art show below, and see if this brings you any closer to Cage Enlightenment.